It’s now 2017, but the bad news about food tech just keeps coming. 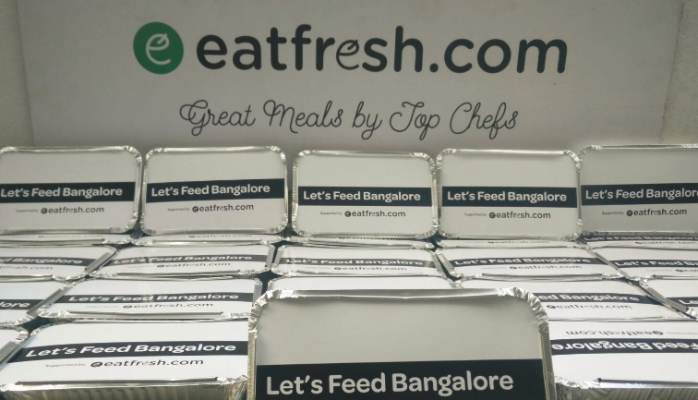 Bangalore-based EatFresh has become the latest casualty in the troubled food-tech space. It’s shut down its on demand delivery service, and will now only cater to bulk orders. “Dear Customers, We no longer operate our on-demand meal delivery service, and will only cater to party or bulk orders in the future. We strived to create a differentiated offering, and hope that we leave you with some happy memories,” says a message on its website. Its Facebook page also appears to have become inactive, with no posts in the last 15 days. EatFresh had been founded in 2015 by Rajiv Subramanian and Ashrujit Mohanty who had previous experience in the food business with OvenFresh, which had 50 outlets in Chennai and Bangalore. The company had raised a seed round of funding from Kalaari Capital, and aimed to differentiate itself in the crowded food-tech market through its full stack approach. It had chefs which operated from commercial kitchens, and its team controlled the logistics, from procurement to last-mile delivery. The company was doing well – we’d covered it in our list of top Bangalore food startups, where they were serving up a variety of gourmet, chef-prepared dishes. As of June last year, they’d claimed that they were doing Rs. 25 crore of annualized sales, and were growing at 30% month on month. While it’s not certain why EatFresh shut down – we’ve emailed the team and are yet to receive a response – most food tech shutdowns in the recent past have been attributed to difficult unit economics and an inability to scale. EatFresh was certainly one of the more popular food options in Bangalore – its Facebook page is currently littered with visitor posts saying how much they miss its services. With it having to down its shutters, it’s becoming that increasingly clear that even thriving food tech operations are finding it hard to survive and run a viable business.